First off I apologize for not writing for such a long time. If it is any consolation, I have been busy helping folks buy and sell real estate since Q4 of 2009 and it hasn’t slowed down since. For those of you that want real time market updates from the field, I have been micro-blogging much more often than I have time to blog so follow me on Twitter http://twitter.com/AlanWangRealty. Big thanks to each and every one of you for referring me to your friends and family for their Real Estate needs. You have all helped me earn the Top Associate in Closed Volume for the second year in a row out of an office of 450+ agents. Again thank you all for remembering me as the primary contact for your Real Estate needs! I li ke to give my clients first dibs at homes before they hit the marketplace especially one as competitive as Saratoga with the Cupertino schools. 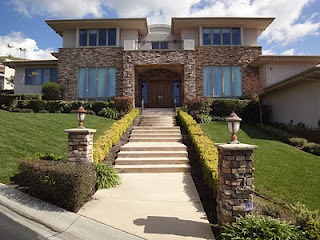 The address is 20211 Merida Drive, Saratoga, CA 95070. The property has 4 bedrooms and 3 bathrooms with 1,616 square feet of living space. Property sits on an enormous 10,000 square feet lot. The home is fully re-done with pergo hardwood floors throughout the property, newer kitchen cabinets with granite countertops. Where there is no pergo there is marble and bathrooms are filled to the ceiling with granite and marble flooring. This homes goes to the coveted schools such as Blue Hills Elementary, Miller Junior High and Lynbrook High School the best of the best! After an hour of posting this home on Facebook I already have 4 interested parties so move quickly. Call or e-mail me for an appointment first come first served. Property will go on the market 8/15 so move quickly! Pocket listings are homes I have not put on the MLS yet usually due to timing, but my Sellers are definitely willing to work something out, let me know! Milpitas – I have a rare Beresford Estate property, 3 car garage, 4 bedrooms, 3 bathrooms, 2,590 square feet, 6,500 square foot lot, 14 years of age that will go on sale in January or sooner. If you are interested let me know! Whisman Park Station – I have a possible newer Whisman Park Single Family home 4 bedrooms, 2.5 bathrooms, 1,839 square feet on a 5,529 square foot lot, 12 years new. The time line here is unknown but we can discuss this with the Seller’s if you are interested. As predicted in my previous blog post Real Estate in 2010 has continued to pick up in Santa Clara County. You may be asking how is this possible when there is only doom and gloom in the news? Remember that real estate varies by market and in the valley where there are companies, jobs and a new start-up funded everyday; limited supply will continue demand for real estate. This spells opportunity as rates remain at all time lows to jump start the rest of the country, we should take advantage here. 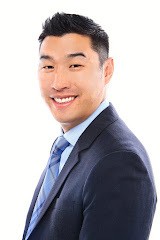 My client just locked a 4.875% conforming jumbo loan (up to $729,000) for a 30 year fixed! This is an amazingly low rate I wasn’t even able to get during the worst times in the recession. Currently the major activity is in areas that have strong overall school districts from elementary to high school. I suppose the question is has this area ever slowed down? They did briefly but not by a whole lot. These are areas such as Fremont (Mission District), Saratoga, Palo Alto, Los Altos, West San Jose and Cupertino you would think we were in a bull market as there is low inventory and multiple and often cash offers! In my opinion always a great investments and it would appear almost recession proof. I am also seeing activity in areas with good elementary schools such as Willow Glen, Cambrian, Sunnyvale and parts of Mountain View. Milpitas has seen some slowness even with the support of good elementary schools, there could be some opportunity in this city until folks catch on. Areas without the supporting school districts are not doing as well at this time. Same goes for Townhomes and Condominiums are struggling in this market as buyers are focusing their sites on Single Family Homes. The further you go from the Bay Area the better the deals but the old cliché is true, real estate is about location, location, location! If you and your family has made the decision to send your kids to private schools and don’t want to compete in the public school arena, there are nice areas with newer homes for affordable prices ask me about those areas! 2928 Calico Common in Livermore – Brand new home sold to my Buyers! 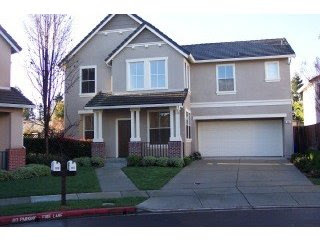 New Home in Menlo Park – Negotiated $50,000 off list price for my Buyers! New Home Builder Mountain View – Negotiated $30,000 off list price and $50,000 in incentives for my Buyers! Remember before you walk into a new home development bring your Realtor on your first visit so he can negotiate on your behalf! Otherwise he can’t help you in the process! For those of you who have not done so already, I recommend you spend $1,500 to $2,000 and get a living trust setup for your estate. A trust makes it so that if you and your spouse pass, assets will be managed by a Trustee you assign. The alternative is that your estate goes to probate and by the time all the lawyer fees are paid, most of your estate will be gone. More importantly a trust can instruct who your children will go to in case you pass away. Health care directives can be made part of this as well. Wishing you and your families a wonderful first half of 2010! May the rest of the year be as fruitful as the beginning!